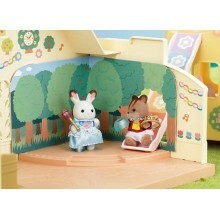 Crème the Chocolate Rabbit Baby and Ambrose the Walnut Squirrel Baby love to play dress-up! In this play set, Crème comes beautifully dressed as a princess complete with a matching tiara, wand and shoes, whilst Ambrose the Walnut Squirrel Baby is smartly dressed as a prince in regal mahogany red. 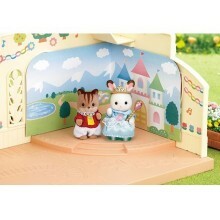 The set comes with 2 imaginative stage settings - princess castle and woodland. 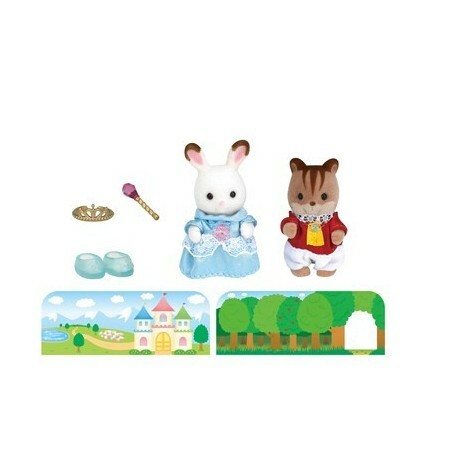 This set includes Crème the Chocolate Rabbit Baby and Ambrose the Walnut Squirrel baby.